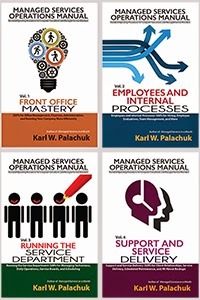 Small Biz Thoughts by Karl W. Palachuk: Off we go into the wild blue blog yonder! Off we go into the wild blue blog yonder! I've been so busy this year, and it's only the middle of February! I've been running around so much, trying to connect with people and coordinate things. I considered creating a mailing list, but decided I needed something less formal. I don't want to produce one more thing that has to be out on a schedule! So the blog thing seemed to make sense. As it says in the description, my goal here is to make this a low volume resource. 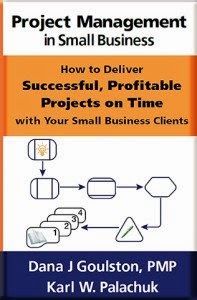 I want to throw out some ideas on the business side of being a small business consultant. No guru here, but I run a five-person shop and I've been making money doing this full time for almost eleven years. So I do things right. I also publish a monthly newsletter called Relax Focus Succeed(R). You can see that, along with more than fifty articles at http://www.relaxfocussucceed.com. Please let me know if you find anything useful here.